Westminster Presbyterian Church is the oldest church in the Town of Westminster. 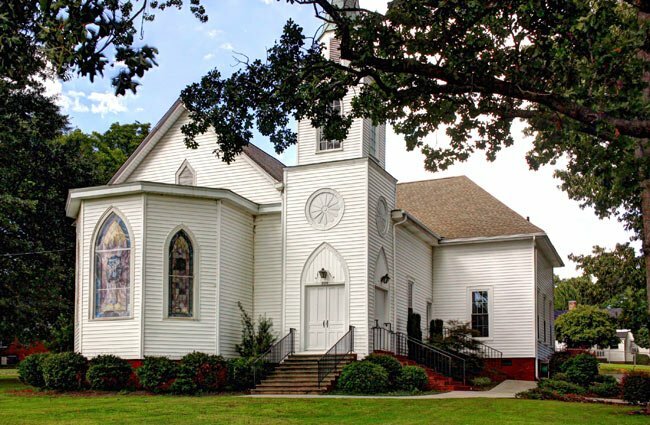 The church was organized by a group of Presbyterians who settled around the present-day First Baptist Church; the group later established its own church, Westminster Presbyterian, in 1882. The founding of the church was led by a man named Ollie Green, and the sanctuary was built soon afterwards in 1884. The Reverend Hugh Strong served as the church’s first pastor, and he purchased the church bell used today as a gift to the church. The bell cost the Reverend Strong $25 – a quarter of his annual salary. We would like to make this page better. 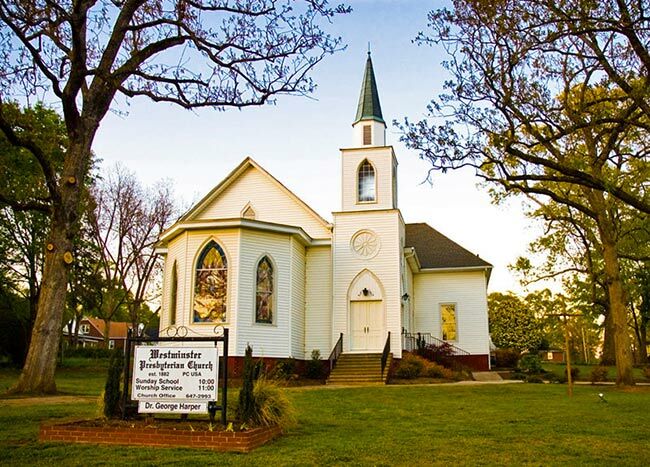 Do you have information about Westminster Presbyterian Churh that you would like to share? If so, please send it to the South Carolina Picture Project. Thank you!